This year, I am going to try very hard to give away as many homemade holiday gifts as possible. Every year I try to do more and more homemade projects, and one of these years, every gift I give will be homemade. I thought a good place to start would be with a big case of fresh, organic apples — I’m lucky enough to have a great local CSA subscription service where I can include a huge case of certain types of produce along with my weekly box of delicious items. 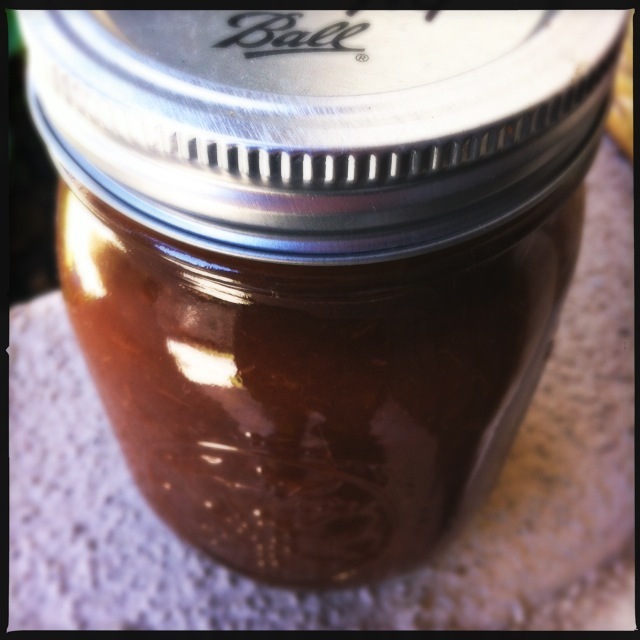 Using my trusty slow cooker, I made 12 quart jars of delicious spiced apple butter. 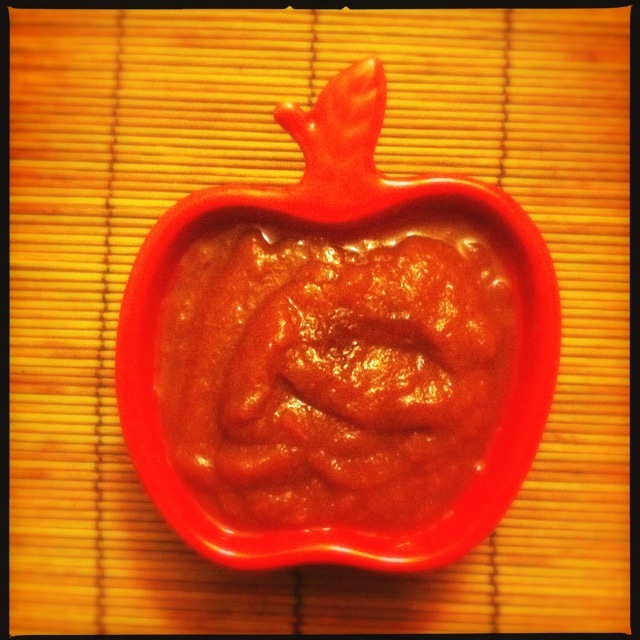 Check out my recipe for apple butter, as well as other great crock pot recipes, here. I also found a way to use my slow cooker for applesauce, which was easier than I ever could have imagined. Luckily, my appliances did all of the work: my crock pot simmered the ingredients, my immersion blender pureed everything, and then it was done. Yes, you read that right. Only three ingredients, unless you opt for additional flavoring. 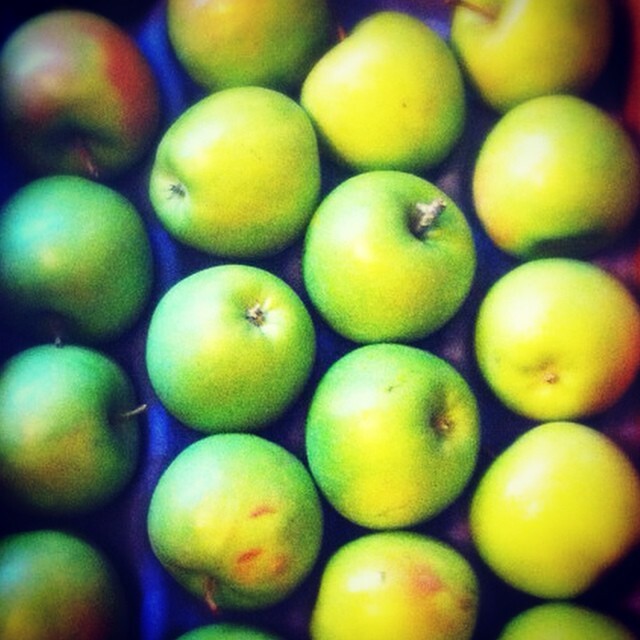 Just apples (of any type), a bit of acid (lemon juice) and some honey. You don’t even need to peel the apples, just scrub them and chop them. The crock pot does all the work, and 6-8 hours later, the apples will be soft enough for your immersion blender to puree into a smooth applesauce. 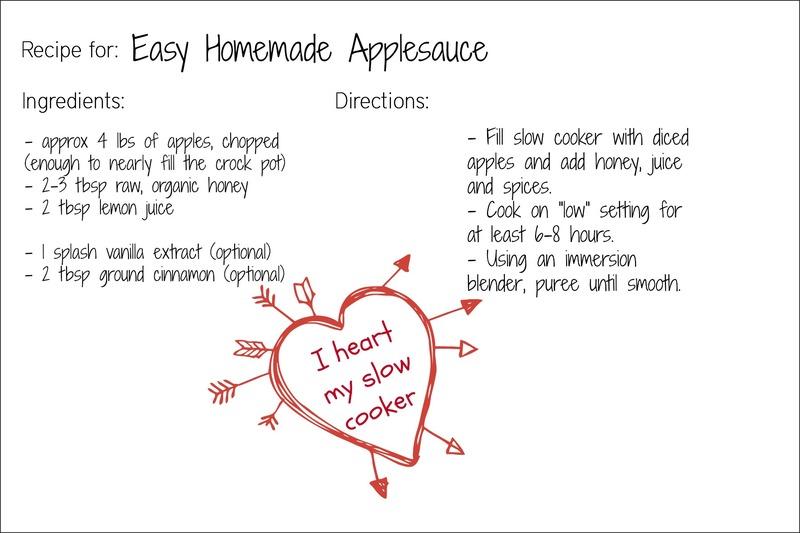 Note: a longer slow-cooking time will make the applesauce sweeter. If you prefer your applesauce less sweet, cook for 4-6 hours. Cooking for 8 hours or more will make the sauce extra sweet. Pin this recipe card for easy sharing! This entry was posted in Uncategorized and tagged apple butter, applesauce, crock pot, Crock Pot Applesauce, crock pot recipes, homemade apple butter, homemade applesauce, organic apples, slow cooker. Bookmark the permalink.